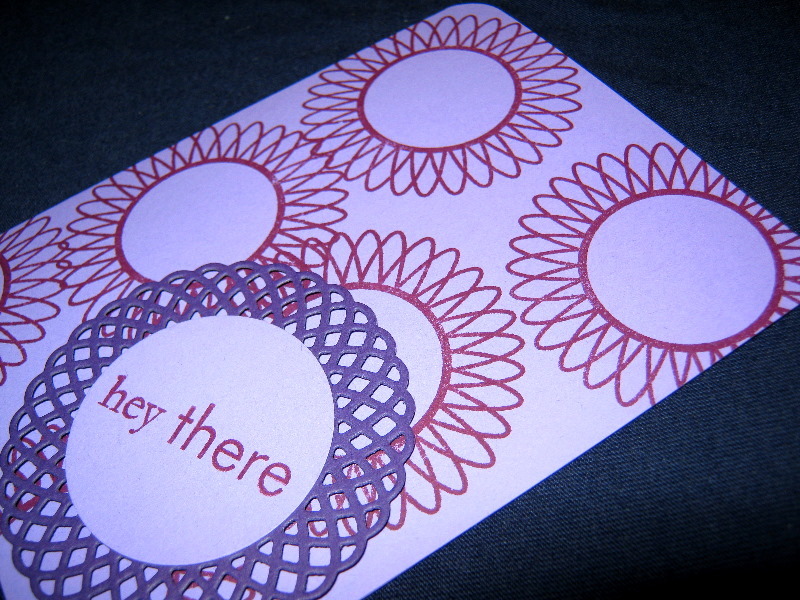 Posted on August 24, 2011 by Albert G.
Posted on July 7, 2011 by Albert G.
Today’s card project features something that I’ve always been hesitant to try–paper tearing. 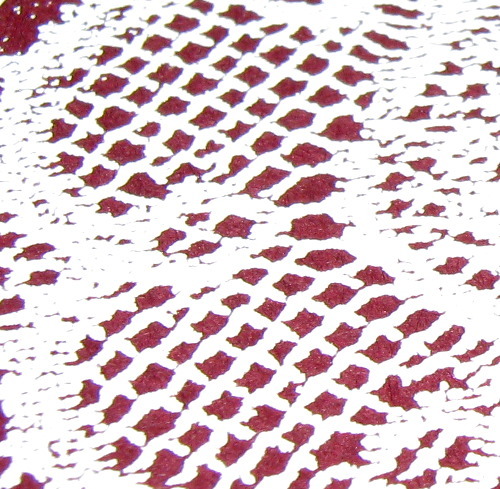 I’ve long admired the look of frayed natural fiber edges. 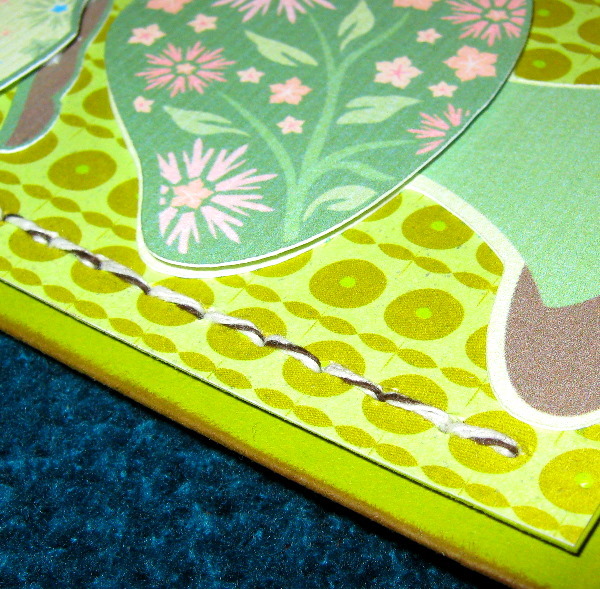 I think it gives cards a unique focal point and textural element. The problem is that I’m one of those people (read: control freaks) that starts to panic about tearing paper. What if it’s too straight? What if it’s too messy? What if I ruin the paper? Yes, friends, I have issues. But, I am here to tell you that sometimes you just have to lose control and try it–and I’m glad I did. 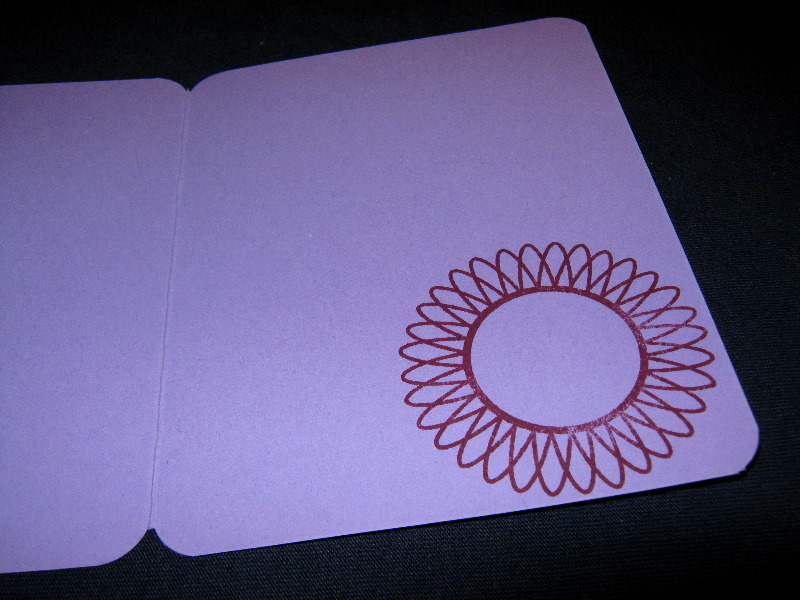 I started with a 5 1/2″ x 8 1/2″ piece of Papertrey Ink cardstock in Lavender Moon. I scored it at 4 1/4″ and used my Zutter Round-It-All to remove all four corners. 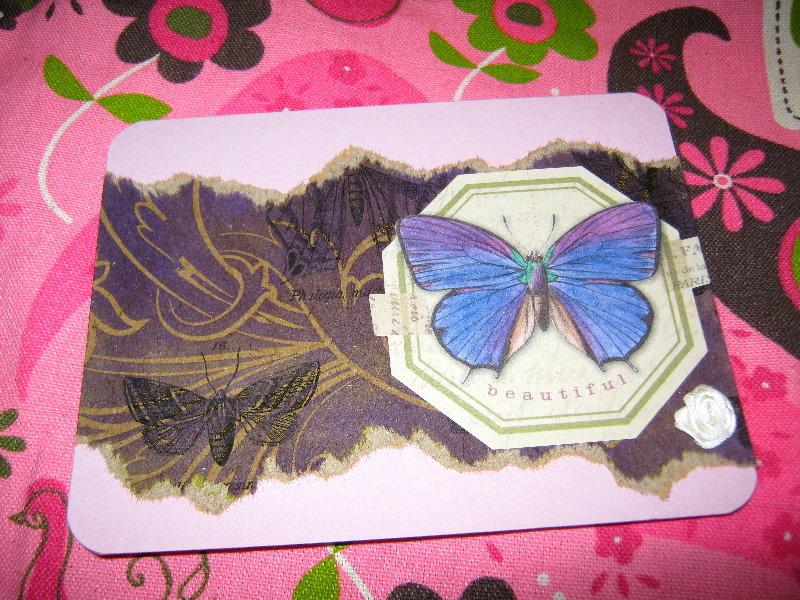 For the experiment in paper tearing, I used a piece of Kraft Resist cardstock from Tim Holtz’s Idea-ology line that had some printed butterflies and a clear dimensional resist swirl pattern. I cut a 12″ x 12″ sheet into several 5 1/2″ lengths of various widths and started freehand tearing along the edges. I think the key to getting a very natural looking tear pattern is to tear slowly using a slight up-and-down motion with your fingers. 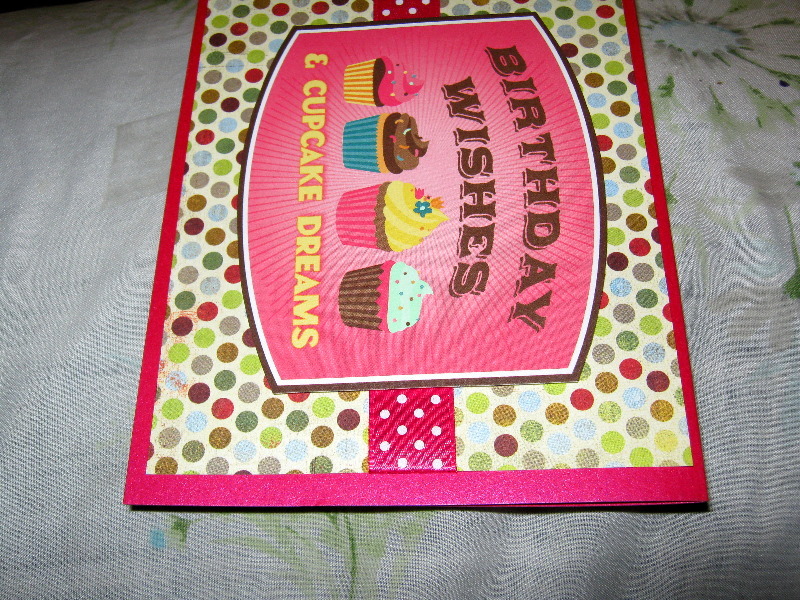 After several test runs, I was ready to experiment with adding color to kraft cardstock background. Using a sponge dauber and some Tsukineko Memento ink in Grape Jelly, I tried to create some shading and variations to the background pattern while creating a contrast color to the lavender. 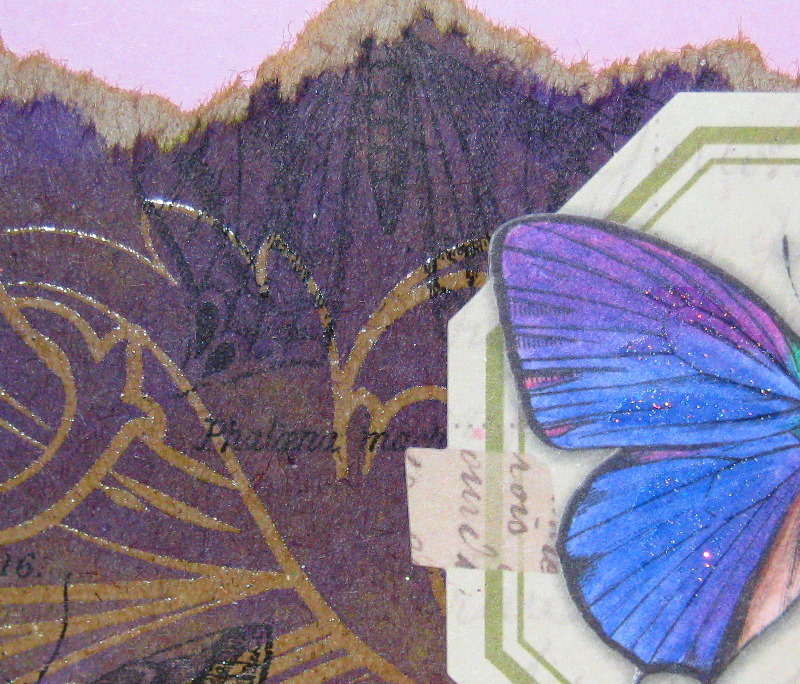 The octagonal shaped tag features a lovely purple butterfly cut from some K & Company paper from Susan Winget’s “Spring Blossom” Collection. 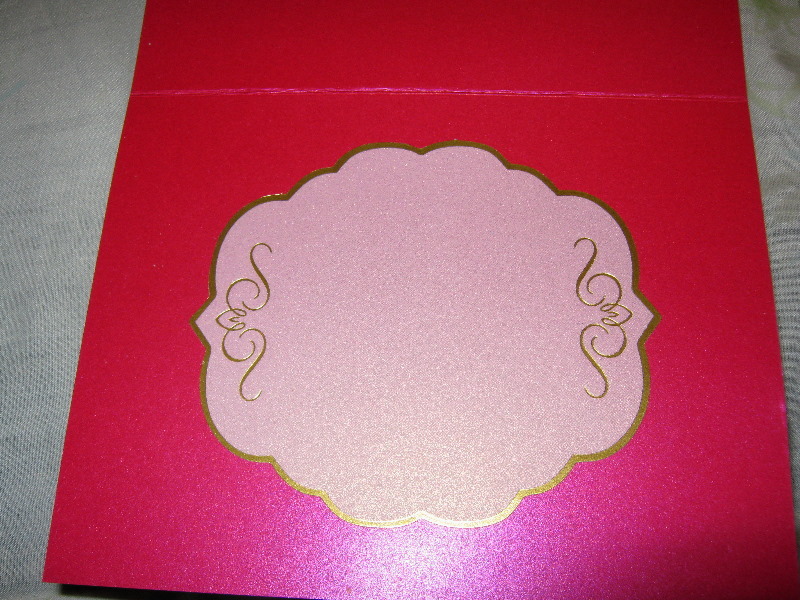 I also added a small ribbon rosette from Stampin’ Up! as a final accent. 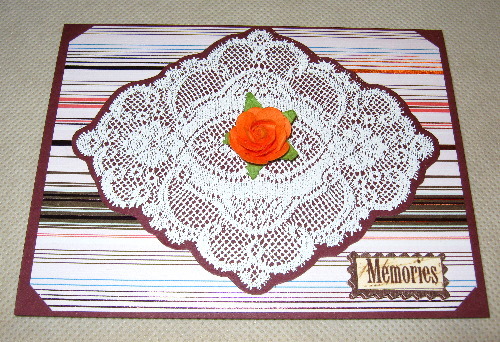 Posted on March 3, 2011 by Albert G.
The real showcase for this post is a set of three steel dies called the Doily Details Collections. 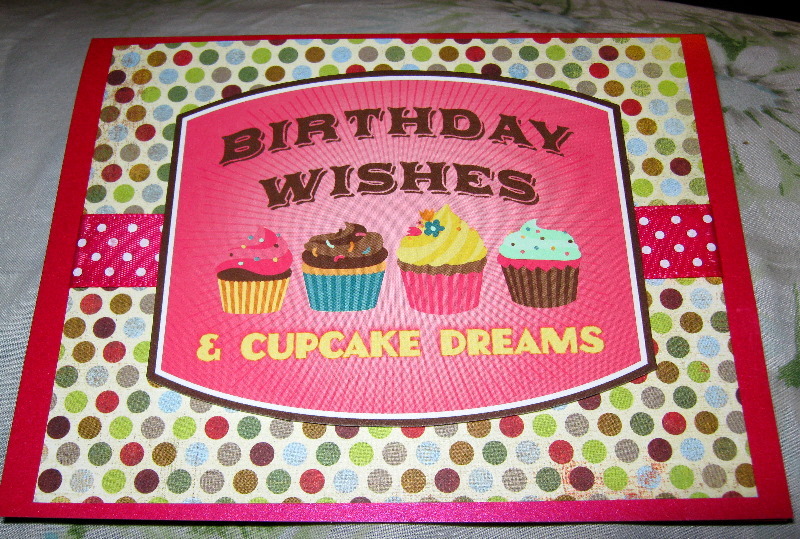 This set of three 2 3/4″ dies is highly versatile and a joy to use with any die-cutting machine you happen to own. I also highly recommend the complimentary set of punch-out tools (which help remove all those little bits of paper in one fell swoop). This first card is very simple. 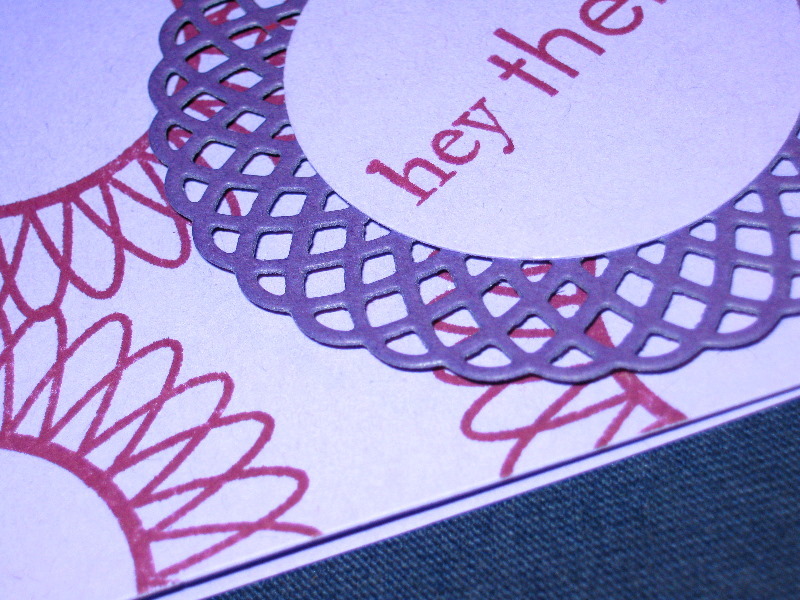 I used the aptly named “Delightful Doilies” stamp set to create a background that mimics the die-cut greeting badge I created. 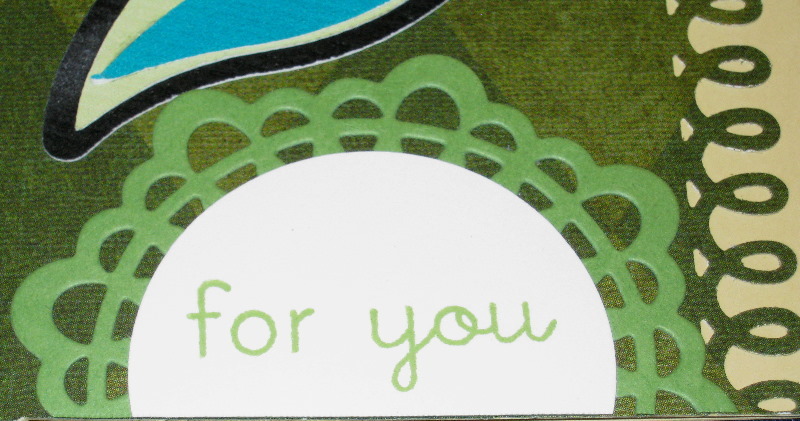 The cardstock and ink (Rich Razzleberry) is from Stampin’ Up!. 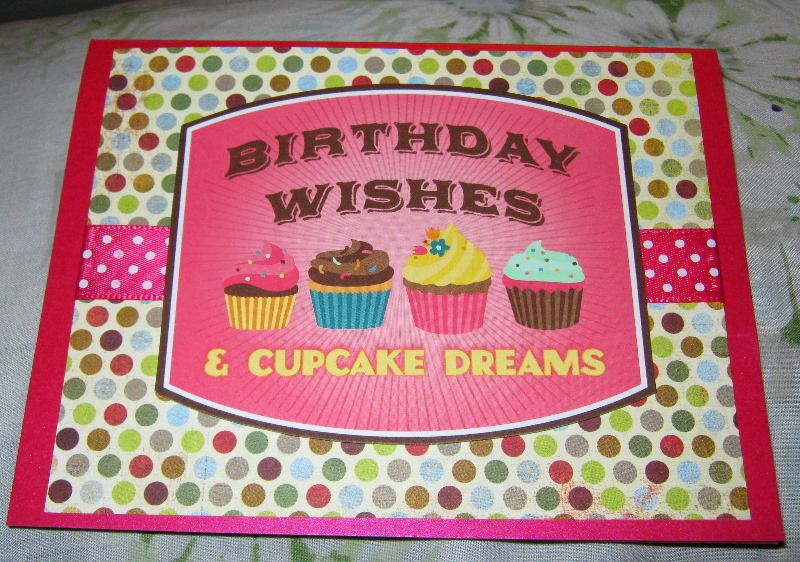 The stamps and dies are Papertrey Ink. The second project was a vexing one for me. 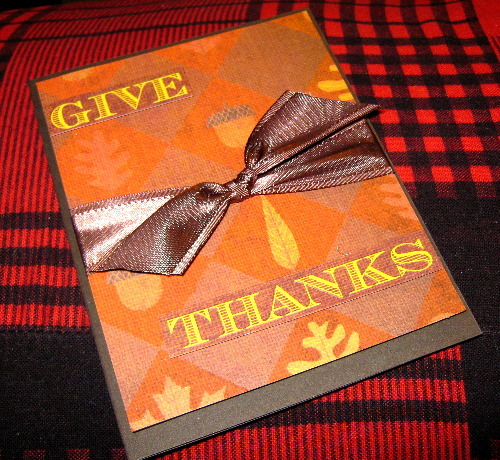 I created this card several days ago, but I was stuck on how to incorporate a greeting on it. So, I put it to the side. No matter how many times I came back to it, I just couldn’t find the right solution. Then, the die set arrived and solved my problem. In this case, I trimmed the die cut to fit my space requirements and it worked like a charm. Posted on January 25, 2011 by Albert G.
Now the reason for this rather long confession: What am I doing with a cartridge called “Nursery Tails”? I have no children. I’m fairly certain any eggs I may have had are long scrambled (yes, this was a joke). At 45, I don’t see children in my future (much less that rascally Prince Charming)…so….why? Well, I had to have it. But, I’m telling you, the artwork and designs on this cartridge are so beyond cute and ahhh-inducing. I give “Nursery Tails” a hearty two-snaps and a shake of a gay man’s bruised existential eggs. Okay, now I’m done. I promise. To the cave, er….card. 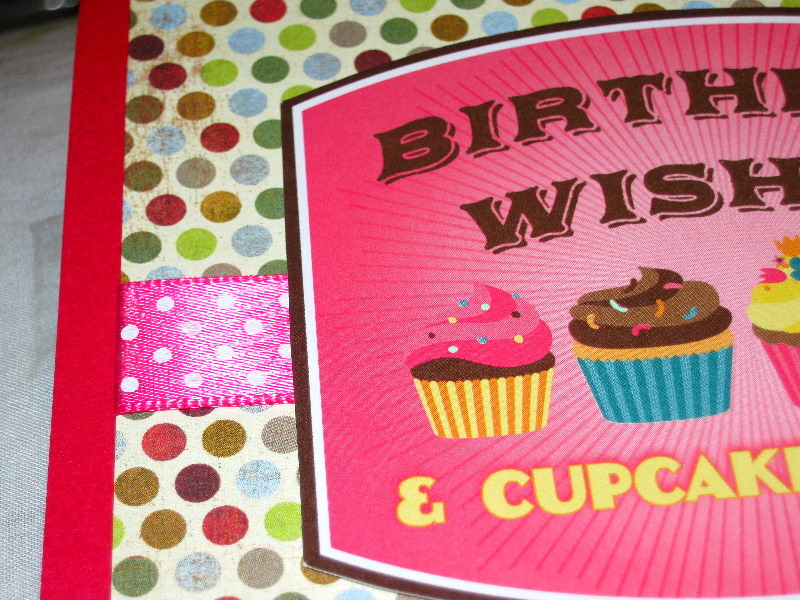 The base cardstock for this project (and one of my go-to colors) is Papertrey Ink’s Simply Chartreuse. 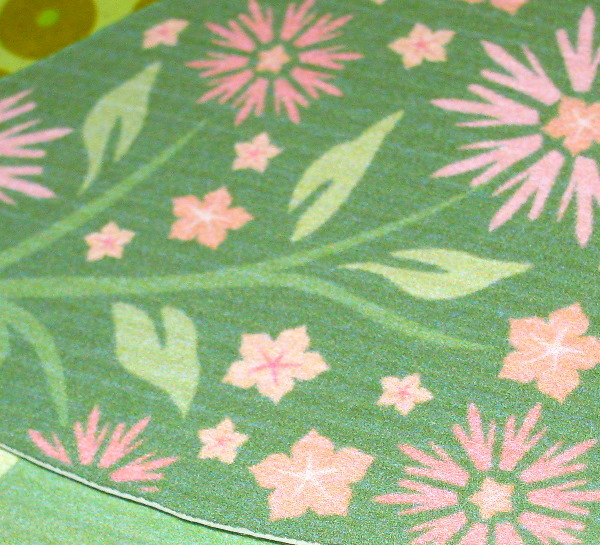 The card mat was cut at 4″ x 5″ from K & Co.’s “Greenhouse” paper stack. 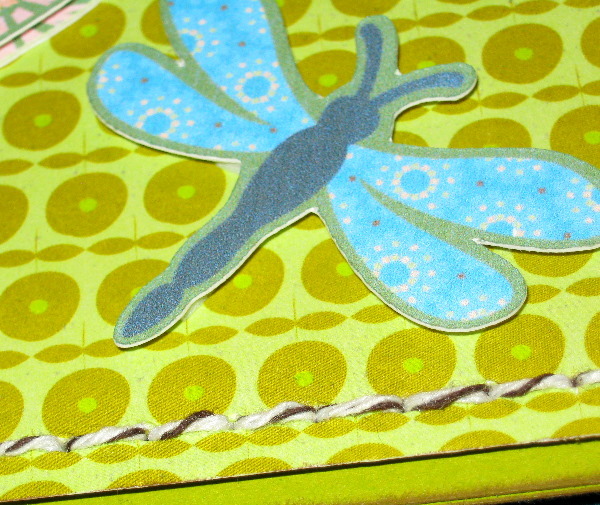 I mounted the mat on another piece of the same-sized Simply Chartreuse cardstock for added thickness as I knew I would be doing some hand-stitching on this card. 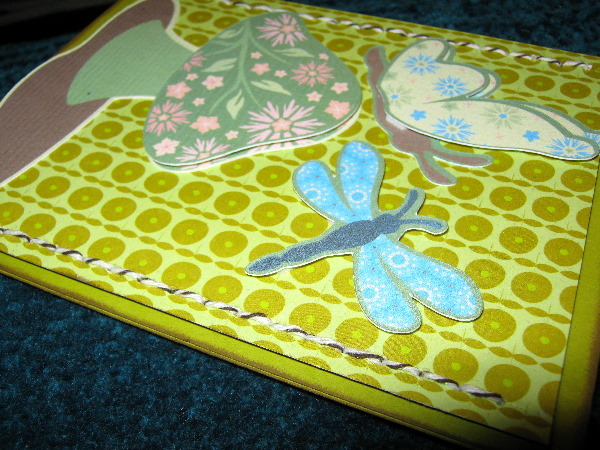 I used We R Memory Keepers Sew Easy tool to punch the stitch lines in my matstack. Echoing the predominant greens and browns of the papers used, I chose to use some Papertrey Ink Baker’s Twine in Chocolate (instead of floss) to do my stitching. I like the baker’s twine as it is thicker and more rustic and makes the stitching show up more. 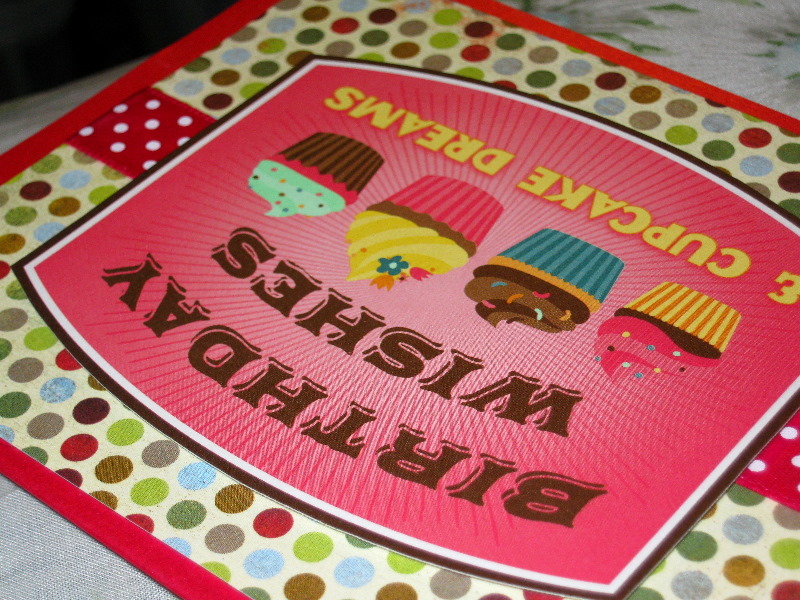 I used my Cricut Imagine and “Nursery Tails” to print and cut my layered artwork at 4″. 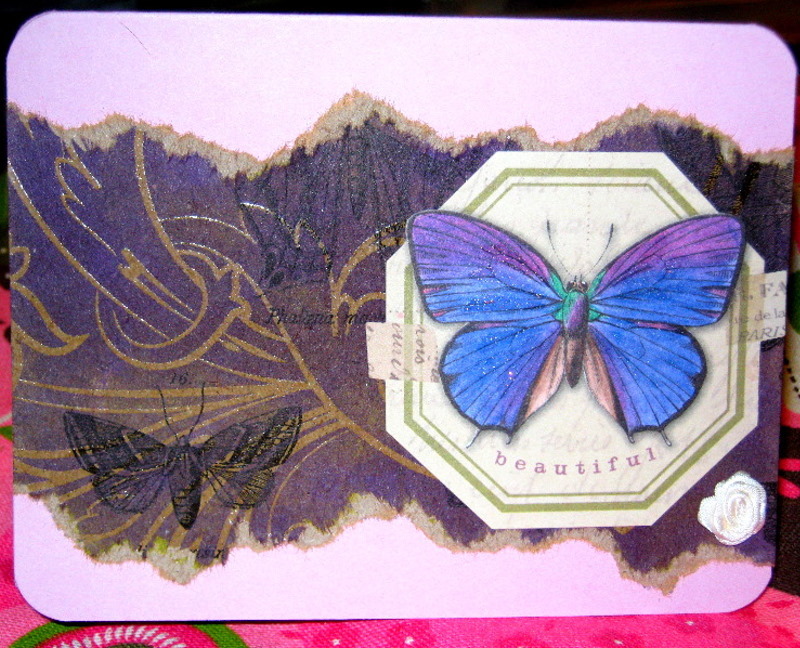 The mushroom head and the butterfly wings were double cut for layering with Stampin’ Dimensionals. I also used the Dimensionals to adhere my mat stack on the card front as that keeps the back stitch work from “lumping” up the cardstock. 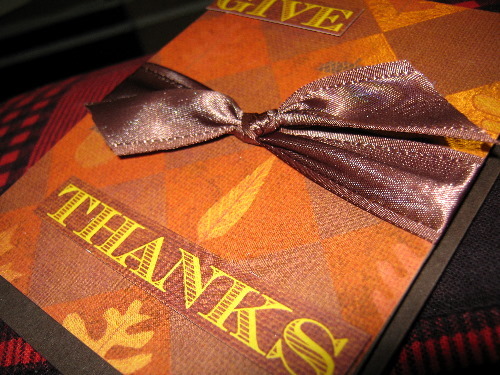 It also, I think, carries on the three-dimensional effect of the overall card. 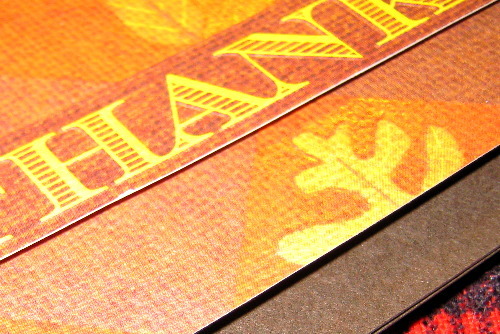 Lastly, I used a sponge dauber and some Memento Rich Cocoa ink to add a border of color around the outside edges of my card. I was really happy with the way this one turned out. 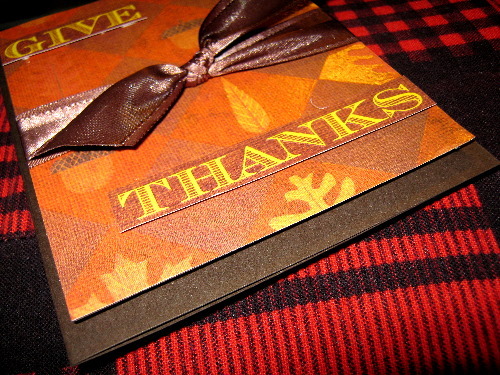 It featured so many details that I didn’t feel it necessary to add a greeting or sentiment to the card. Posted on January 19, 2011 by Albert G.
Chrysanthemums (often referred to as mums or chrysanths) are one of my favorite perennials. The name comes from the Greek chrysos meaning “gold” and anthos meaning “flower” as the flowers were originally only a golden yellow in color. 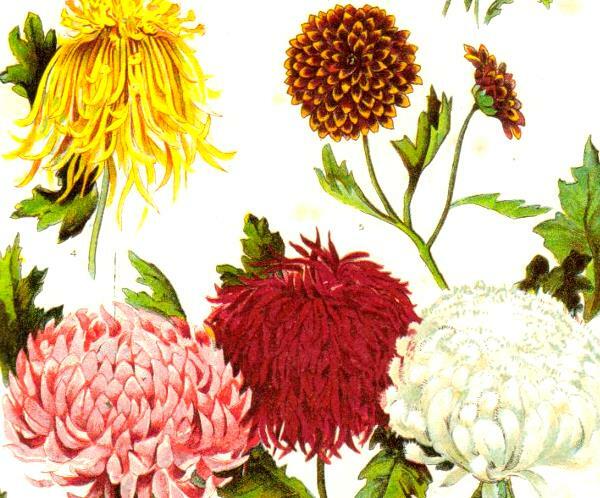 Today, there are more than thirty species of chrysanthemums (of the genus Asteraceae). 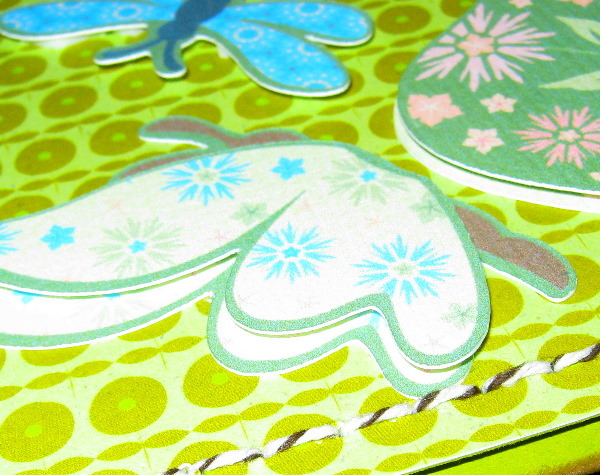 My project for today uses another of the wonderful “Year of Flowers” clear acrylic stamp sets introduced by Papertrey Ink. If you’ve not already done so, I’d highly recommend checking this series of detailed stamps out. 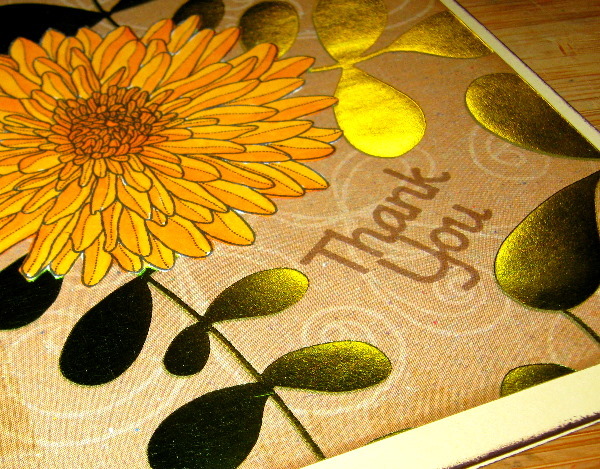 Most sets come with one or two flowers, several leaves and coordinating sentiments for only $15 a set. 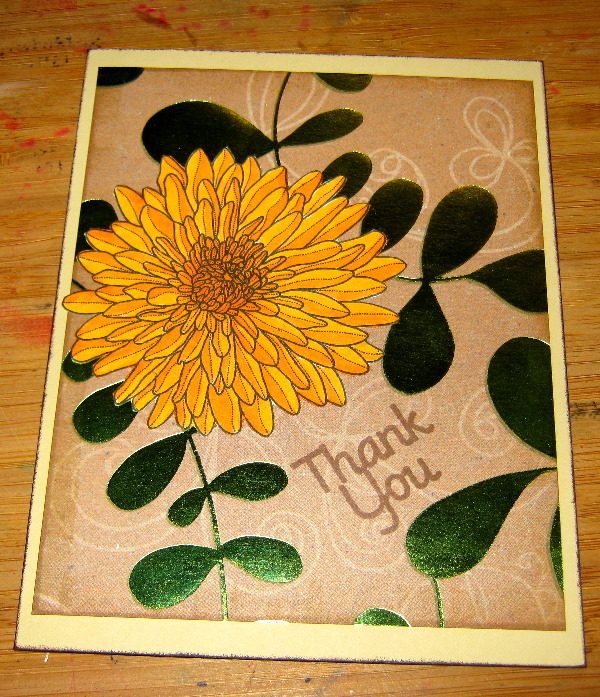 I chose to use the largest chrysanthemum bloom and stamped it on some Stampin’ Up! 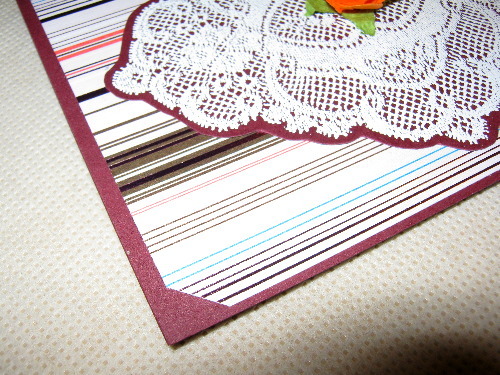 Whisper White cardstock with Memento ink in Tuxedo Black. I colored the image using a palette of three different Copic Sketch markers: Y38 (honey), YR14 (caramel), and YR15 (pumpkin yellow). 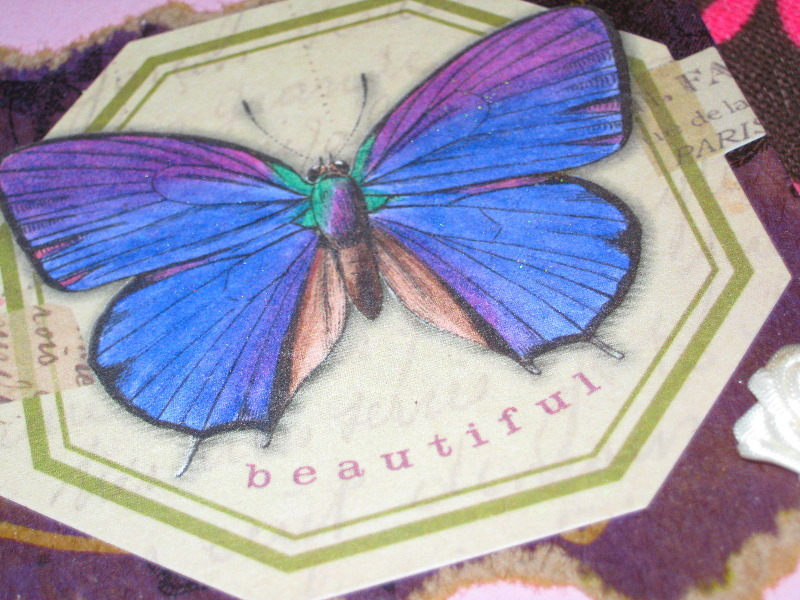 After I finished the handcoloring, I used my Tim Holtz micro-serrated scissors to cut out the image. 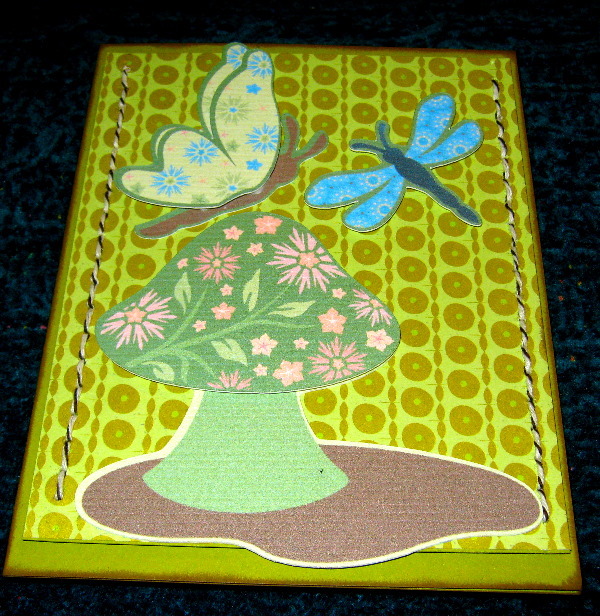 The card base is from Papertrey Ink cardstock in Fine Linen. 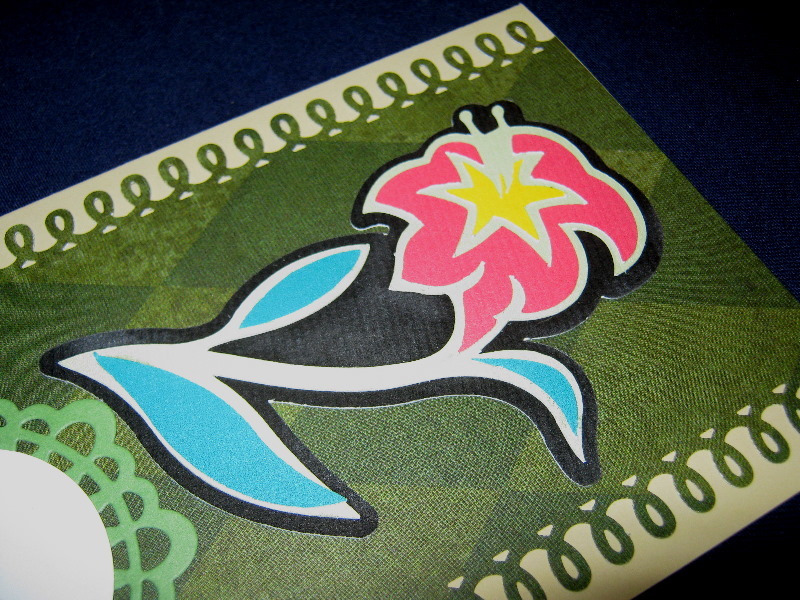 The card mat is from K & Co.’s “Olive Tree Kraft” collection. 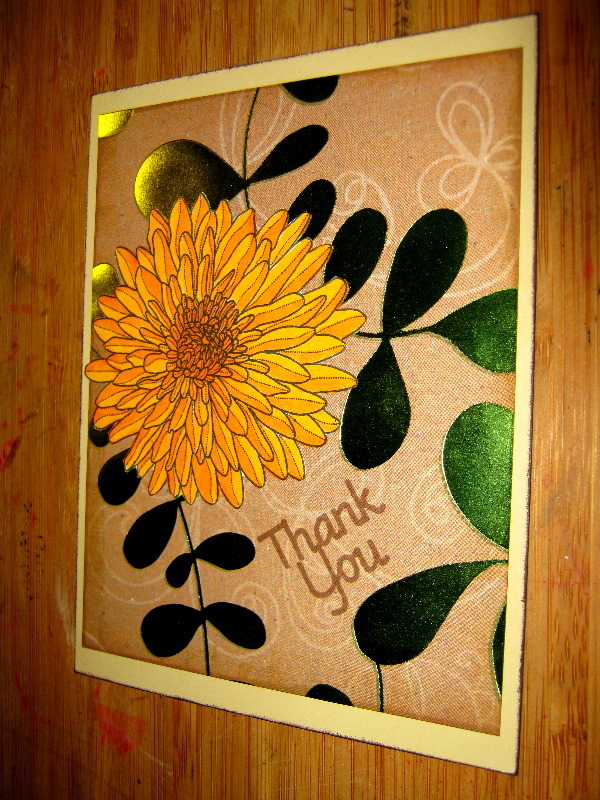 I really thought the color of the background was terrific for this image and I loved the embossed and foiled leaf motif that perfectly fit with the floral theme of the card. 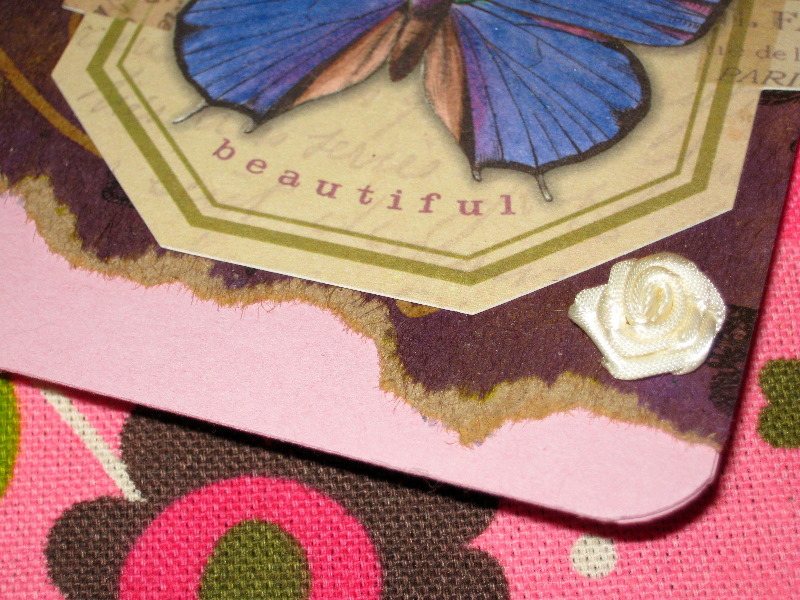 The edges of the card mat were inked with Papertrey Ink’s Vintage Touch in Chai. 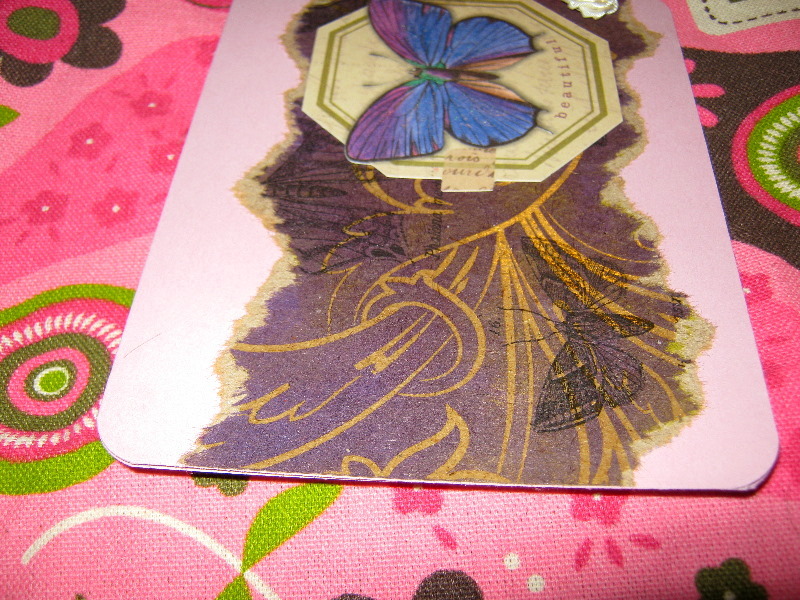 The card base was inked with Colorbox chalk ink in Dark Brown. 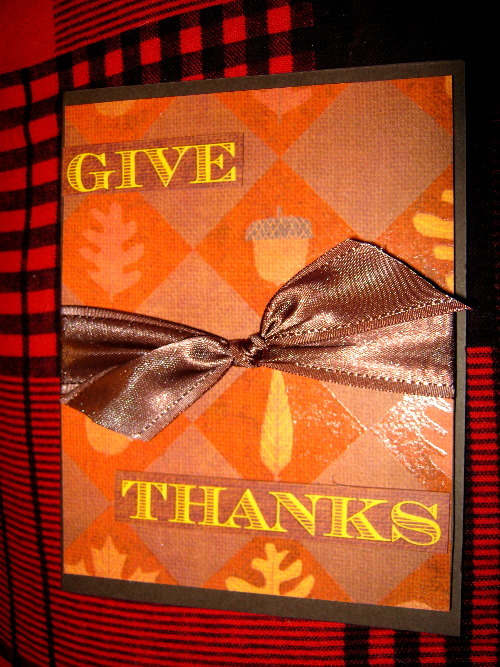 The sentiment is a rubber stamp from Unity Stamp Co. 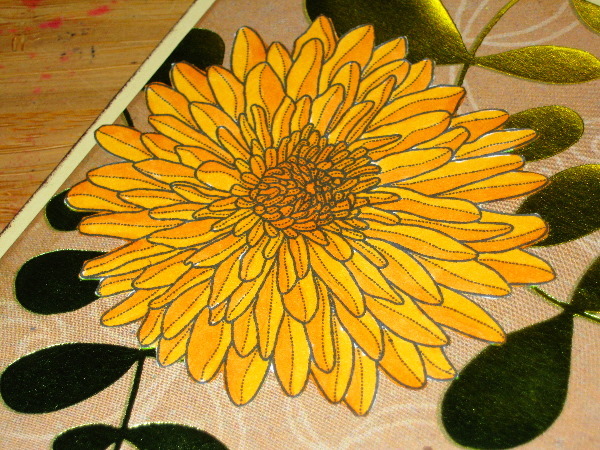 Overall, the card is simple in its layout and design, but the chrysanthemum (which is the focal point) belies the simplicity as it took some time to properly shade and color. Posted on September 29, 2010 by Albert G.
In my continuing quest to own every crafting product imaginable (a quest that at face value sounds like a joke–until you check out my stash), I’m always interested in the trends and patterns that seem to pop-up with each new season of line introductions from the various craft companies. 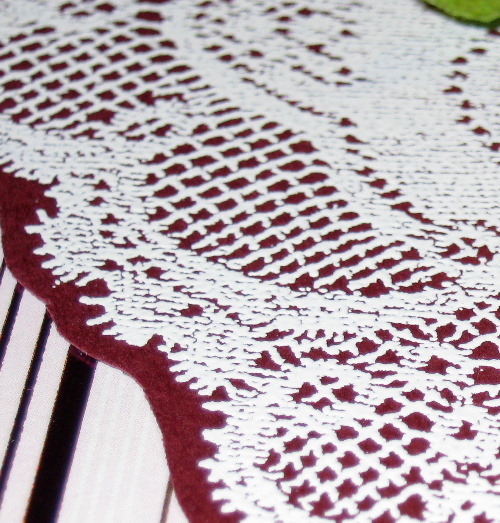 One of the more notable trends of this Fall 2010 season is the popularity of lace. 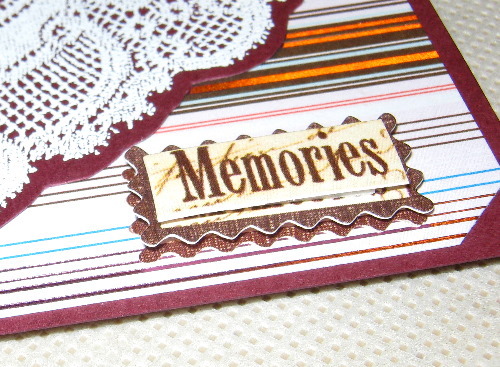 Many paper lines, stamps, and embellishments seem to be featuring a strong throwback to something that was once considered apropos to vintage or shabby chic projects. 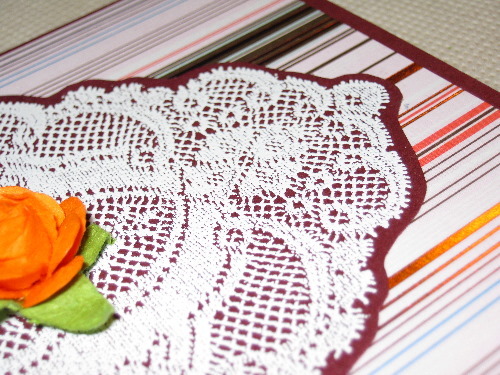 However, lace (whether literal or in its impression) seems to be on trend for major use in scrapbook and cardmaking projects through the rest of the year. Now, I don’t think lace was ever out. 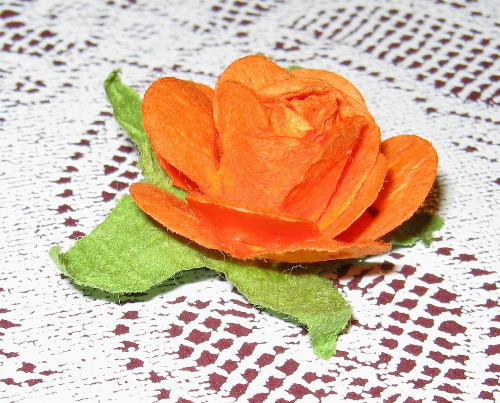 But, seeing it reemerge so strongly as a main focal point in crafting is rather unusual. 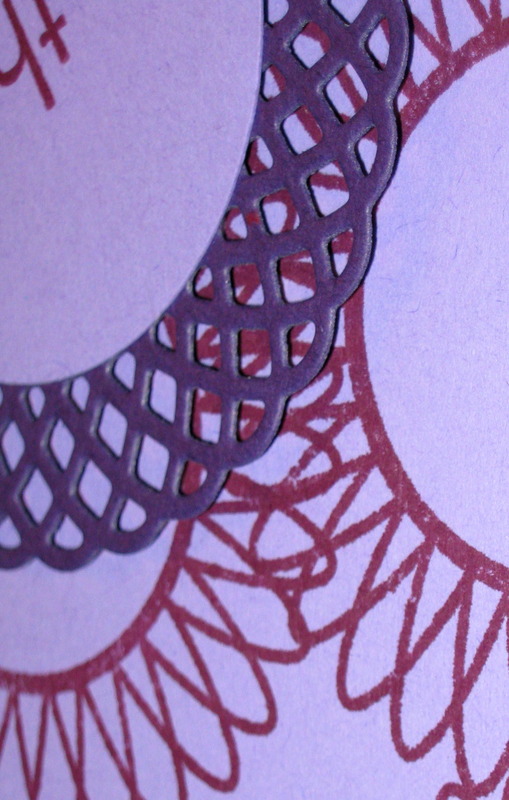 The influx of laser cutting with cardstock and ribbon has made it easier for intricate lace patterns to be transitioned into new uses and forms. 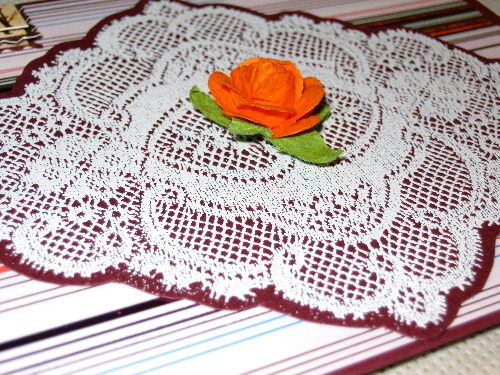 One area that seems to have heavily embraced the lace trend is stamping. 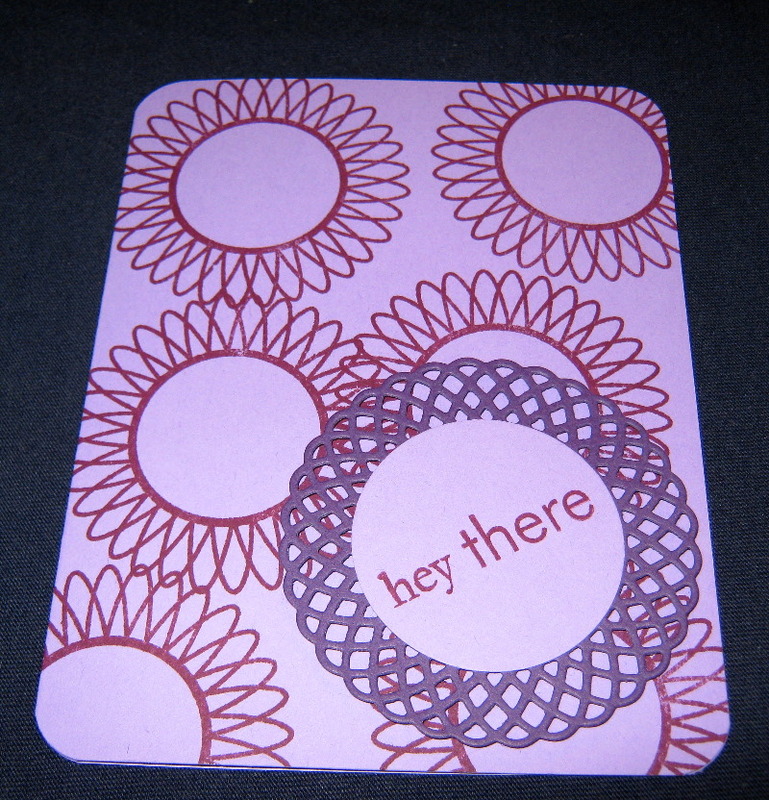 Today’s card project features a lace rubber stamp as a focal point. 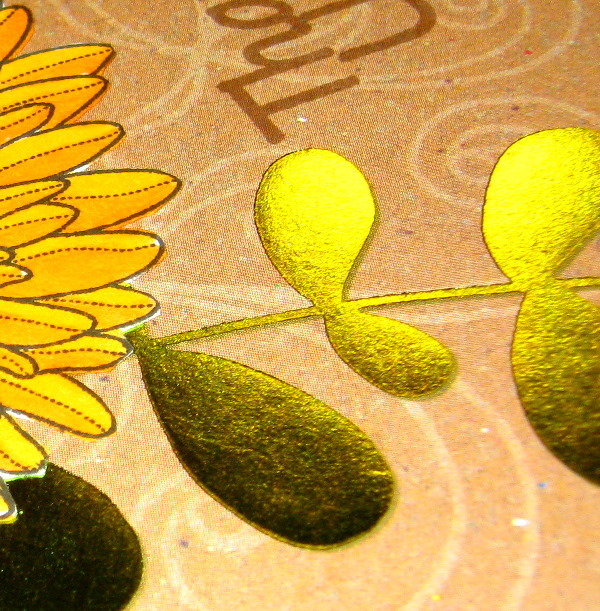 This card project is made from Stampin’ Up! 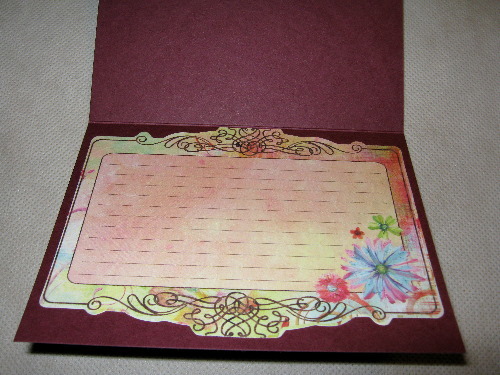 cardstock in Bravo Burgundy. 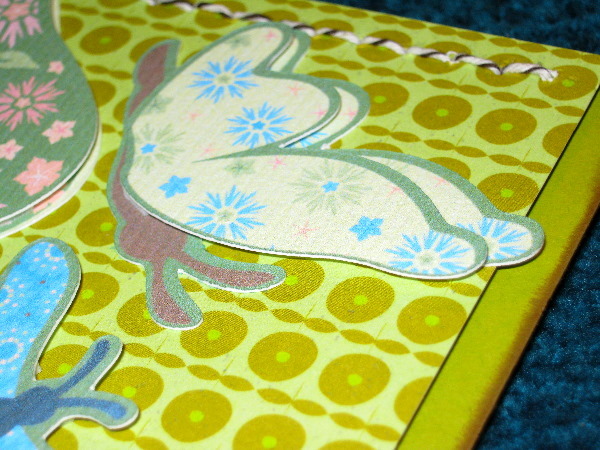 The card mat is decorative foiled cardstock from SEI’s “Lovebirds” collections. 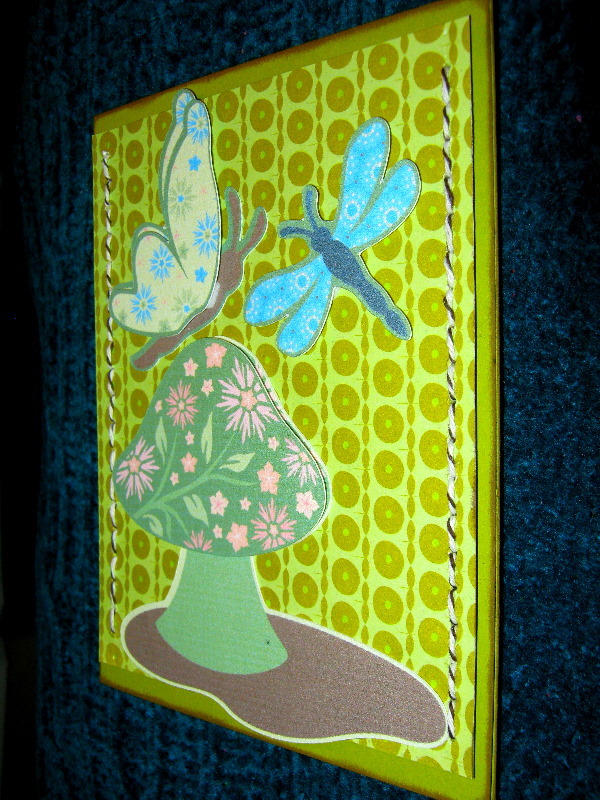 The lace stamp I used was from Donna Salazar’s “Trunk In The Attic” series of cling mounted rubber stamps. 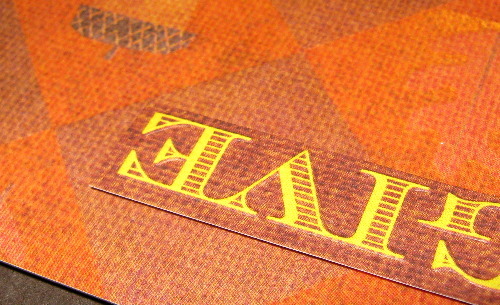 This particular stamp is called “Lacey Goodness”. It measures approximately 4 3/4″ x 3 7/8″. 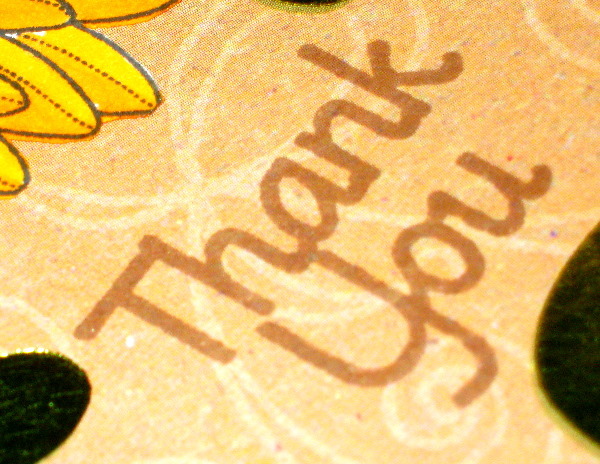 To achieve the effect I wanted, I stamped the image using VersaMark on to a piece of the Bravo Burgundy cardstock. 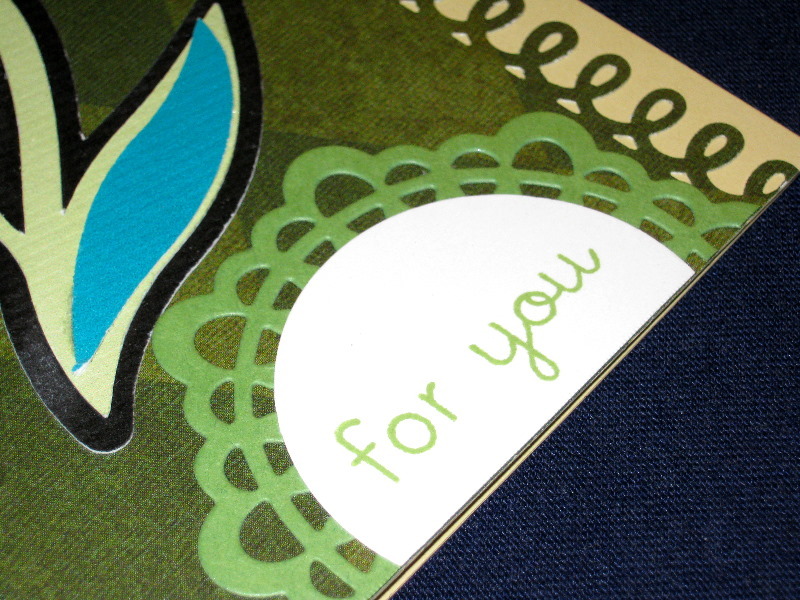 Then, I used Stampin’ Up!’s White Stampin’ Emboss powder and my heat tool to set the image. 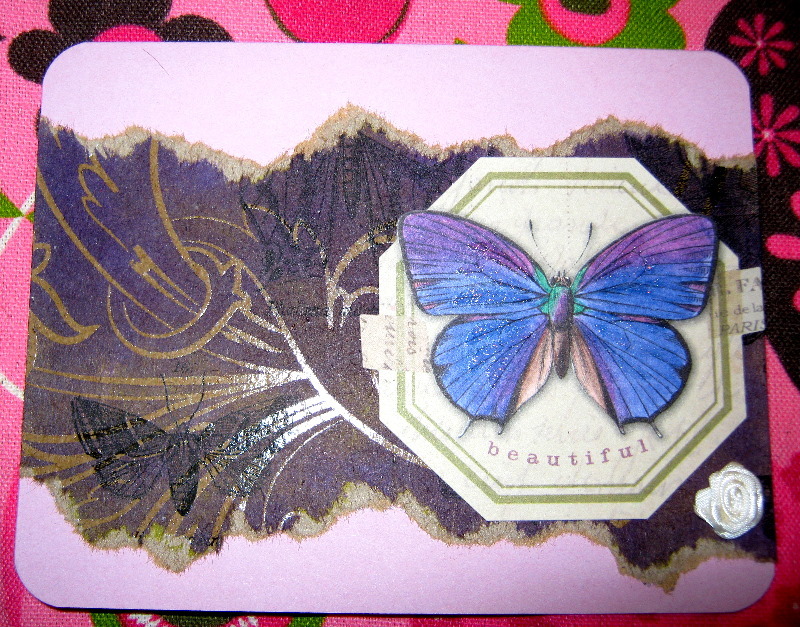 Once it was cooled, I cut around the stamped image and used it on my card front. 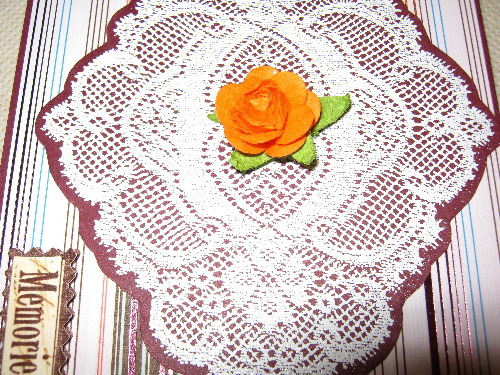 The heat embossing, I think, gives the look of texture and realism to the intricate cut-out work of the lace pattern. 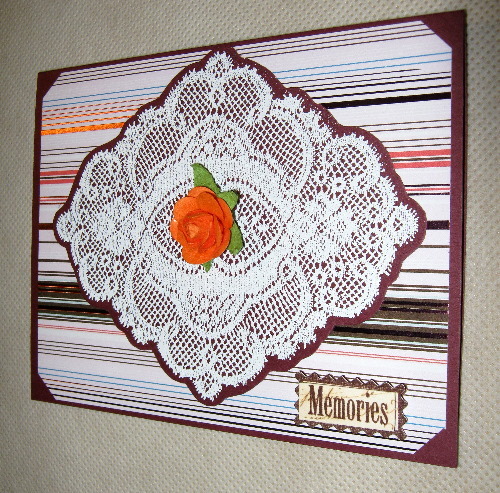 I thought the quilled rose added just the right finishing accent to the mood of the card. 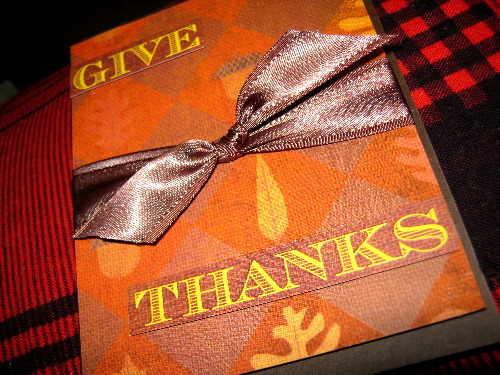 The sentiment is a K & Co. Grand Adhesion and the inside journaling card is from Prima Marketing.